After experiencing a destructive wildfire there are many financial implications for impacted communities and individuals. What if I lost my home or business to wildfire? What do I need to consider when applying for funds for my community? 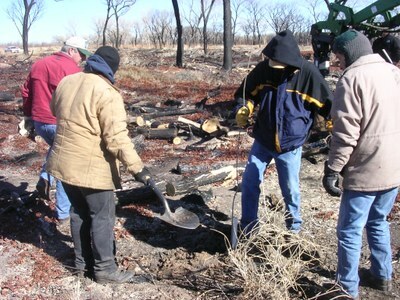 This section provides tips about finances and funding in a post-wildfire situation. Key Items When Considering Funding Options: These tips help you decide which funding sources to apply for. Make the most of volunteer and in-kind donations. Learn more here. Experiencing a destructive wildfire can be financially straining, and even, in some cases, devastating. Below are some tips to assist individuals, families and businesses at this difficult time. Document, document, document: Take pictures of your property (and provide ‘before’ images if they are available). Photograph all damage from multiple angles. This will help with insurance claims and applications for assistance programs. Taking pictures is one of the single most important things you can do to help yourself. Keep all of your receipts from restoration and recovery projects. If you have insurance, contact your insurance agent as soon as possible. 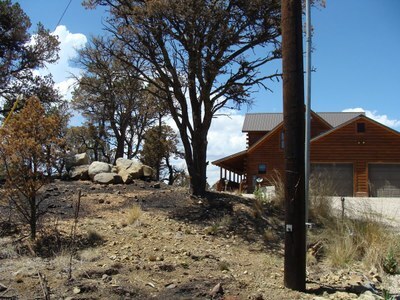 The Insurance Information Institute provides answers to Frequently Asked Questions about wildfire and insurance here. 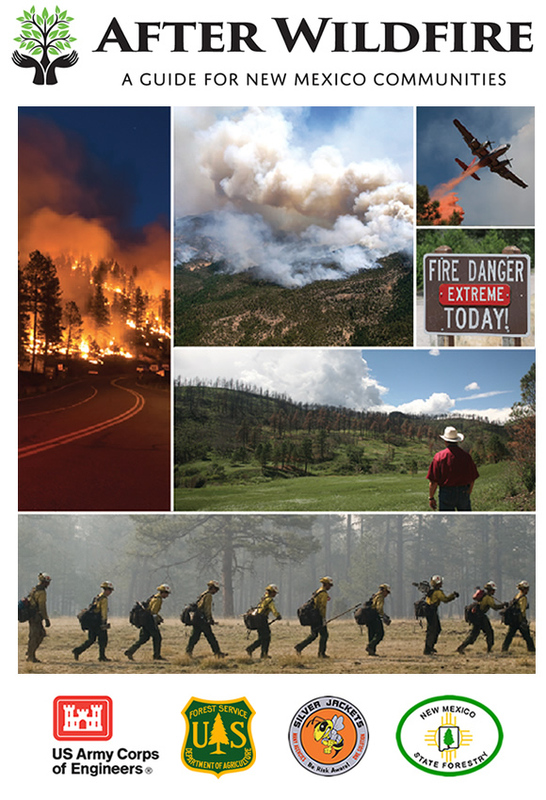 A brochure on 'Wildfire and Insurance' can also help you plan ahead. Look into flood insurance: A top priority after a wildfire is flood preparedness; it is important to purchase flood insurance if at all possible. To find out more about flood insurance, go to www.floodsmart.gov. Contact your lenders as soon as possible if your financial obligations cannot be met due to wildfire. For example, if you cannot pay your mortgage, you have more options if you work with your lenders sooner rather than later. Do not assume FEMA (the Federal Emergency Management Agency) is all you need. A Presidential Disaster Declaration must be established in order for a community to become eligible for FEMA funding. Ensure your expectations of FEMA are realistic. FEMA does not replace homes or businesses (except in extremely rare cases). FEMA assistance, when provided, is not a substitute for insurance but rather will provide minimum assistance to get people on their feet after a disaster. Look into tax relief programs: If a major disaster is declared, individuals who suffer losses may complete a retroactive tax return and take the loss out of the previous year’s return. This may provide some immediate funding for you in a post wildfire situation. An accountant or your local IRS office can help you navigate this process. Contact your County Emergency Manager: Your local Emergency Manager needs to know how many damaged or destroyed homes and structures (particularly uninsured) resulted from the disaster, and how many businesses suffered impact. This will help them see if your community qualifies for disaster assistance, which in turn may help you receive additional help. For a list of County Emergency Managers, click here. If you have irreplaceable and invaluable items, get them out of harm’s way. Even if the wildfire is over, flooding may be a very real risk. However, it is critical to not return home until you have been informed it is safe to do so. Lives should always come before material items. For information on organizations and grant programs that may assist in a post wildfire situation, click here. The Small Business Administration provides disaster loans for qualifying renters, homeowners, businesses and non-profits impacted by wildfire in a declared disaster area. If you are part of the SNAP (Supplemental Nutrition Assistance Program), you may qualify to get additional food assistance in a wildfire situation. Call 1-800-283-4465 or click here. While some help exists, there are gaps between what is available and the needs individuals may have after a wildfire. Keep realistic expectations. 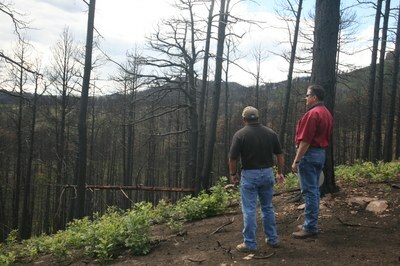 If you are reading this before a wildfire occurs, use this as a resource to plan ahead: Many planning resources are available from the Federal Emergency Management Agency, New Mexico State Forestry, the Centers for Disease Control, and many others. Additionally, keep records and photos of your property stored in an off-site location (such as a safe deposit box), which can assist in keeping them safe for insurance and other claims. After a wildfire, one of the most important tasks in community response is identifying and applying for disaster assistance. This section describes key items to consider when evaluating funding sources and preparing to apply for assistance for your community. Fund Immediate Threats: After wildfire, you need to immediately assess the threat that flash flooding poses. You may have limited time between when the fire is controlled enough to allow for mitigation work to begin and when the rains will come. Unfortunately, many of the sources of funding to help pay for mitigation projects: 1) do not pay for projects that have already been started or completed; and 2) provide funding on a time frame that takes weeks and months, rather than the hours and days when project implementation can make significant differences. Your first task is to identify what funds are available in the community for immediate use, and to prioritize projects that will provide the most expedient protection. It is better to spend that money quickly and wisely and get some immediate protection, than to hold the funds to match future federal contracts and have more damage to contend with because preventative measures were not implemented in a timely manner. Be sure to handle these actions as separate projects that do not jeopardize your community’s opportunities to compete for federal funding for other projects. Do not assume FEMA is all you need. A Presidential Disaster Declaration or a Fire Management Assistance Grant (FMAG) declaration must be established in order for a community to be eligible for FEMA funding. Additional funding will likely be needed to match or supplement what FEMA provides. There are other resources that may be available to communities, however. See our section on Who Can Help. Ask the right questions of community members. As mentioned above, a Declaration is needed for your community to qualify for FEMA and other types of assistance. Assistance often hinges on information such as the number of uninsured structures lost in a wildfire.The Post Fire Coordinator or others receiving calls from individuals in your community or meeting community members should collect their contact information and ask individuals if: (1) Their home or other structures were destroyed, (2) If their business suffered a loss or was destroyed, and (3) If so, whether or not their business is insured. Document, document, document: It is important for communities to visually document damage and to track activities carefully. Take pictures of the damage to your community, particularly to infrastructure such as bridges, and provide ‘before’ images if they are available. Take photos from multiple angles. Documentation is critical, from the application process through the life of a grant. For example, for most grants, documenting mitigation practices and results and saving receipts is mandatory. Follow procurement guidelines and follow funding requirements: Procurement is the acquisition of goods, services or works from an outside external source. If you receive government funding, you must follow federal and state procurement guidelines. If you do not, your funding may be taken back. Contracts must be of reasonable cost, generally must be competitively bid, and must comply with federal, state, and local procurement standards. Contractors must be paid on time. If any of these requirements are not met, subsequent audit findings may adversely impact your final award payout and potential future funding, as will non-compliance of requisite cultural and environmental permitting. Proper documentation of the work completed and charge codes for personnel costs, equipment and materials will be essential for reimbursement. Ensure you know and comply with the requirements of each grant. A note on permitting: Permitting can be complex. For information on permitting, contact your County’s permitting department, the New Mexico Environment Department, and the U.S. Army Corps of Engineers.To link to a document on Frequently Asked Questions related to permits in emergency situations from the USACE, click here. Leadership roles: Make sure local government leaders understand that their role extends beyond applying for assistance. As the community’s official representative, they also have the responsibility to track the progress of the applications and press for action when necessary. Financial assistance processes may take more time than anticipated. Planning for funding is important. As with ‘Mobilizing Your Community’, cities and towns that are proactive and develop post-wildfire mitigation plans before an incident occurs are better equipped to obtain financial assistance for wildfire response and recovery. If you are reading this guide before a wildfire occurs, think about how your community can plan financially for a post wildfire situation. Get help: Putting together a grant application under a tight deadline after a disaster is difficult. Although it seems counter intuitive, you will be more effective if you take time up front to organize qualified staff and volunteers and partner with other stakeholders in the planning stage. Delegate tasks to those willing to assist who have the required skill sets and are committed to meeting the time constraints. Recovers.org helps identify volunteers and match them to needs after a disaster. Matching funds: Does your community have a pool of matching funds available, or can the community mobilize heavy equipment or volunteers on a donated basis ("in-kind")? Most grants require either cash match, in-kind match, or both. If you do not have a pool of cash match, identify documentable in-kind donations of time, equipment and supplies, and seek out match funding when applying for grants. Funding Opportunities: For a list of resources including funding opportunities, visit our 'Who Can Help' page. Fundraising after a wildfire can be confusing and time consuming. Below are key points to consider when deciding which funding opportunities to apply for. For information on funding sources, visit 'Who Can Help'. Evaluate timelines for applying: Does it make sense for you or your community to apply given deadlines? What is due when? Is your community prepared to meet the requirements of the grant in the time required? Timeline of funding availability: You might be able to apply today, but when will the funding be made available to you? How much money will you or your community need to spend before being reimbursed, and where will it come from? Funds from grants may take a year or more to arrive, or are available on a reimbursement-only basis. Even if a funding source is labeled ‘emergency’ funding, it may take a long time to become available. Before you spend a lot of time on an application, make sure the timeline for funding distribution works for your situation. Recordkeeping requirements: Make sure you know the recordkeeping requirements for each funding source, such as compliance reports, accounting and audit obligations, photos, and receipts. Can you or your community meet these requirements? Demonstrating that you can follow these requirements is crucial for a successful application, for receiving funding, and for financial compliance. Additionally, you must follow federal and state procurement guidelines for government grants or your funding may be taken back. Funding Restrictions: Make sure that receiving funding from one resource does not limit other important options. Different funding programs have different rules (e.g. one program may require a 25% local match, another a 50% local match.) Ask lots of questions. For example, receiving some federal funding may disqualify you for other federal grants. 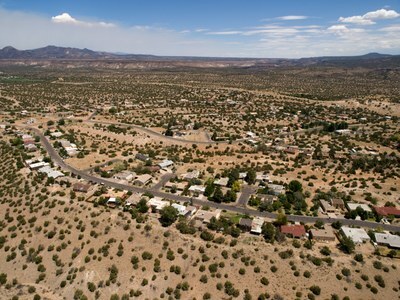 The New Mexico Department of Homeland Security’s Hazard Mitigation Unified Guidance describes the rules and restrictions for FEMA disaster mitigation grants. Click here for contact information for the hazard mitigation officer who can help familiarize you with the requirements for FEMA funding. In-kind work and donations often count as match for funding, but will need to be carefully documented. Most “match” must be an approved part of a grant agreement. Scrutinize the match eligibility and documentation requirements for each type of grant. Do not assume that any particular activity can be counted as match for a particular funding stream, but do keep track of everything that your staff and volunteers and others in the community are doing. Grantors are generally willing to work closely with local governments to identify match opportunities, but have to meet their own programmatic requirements.